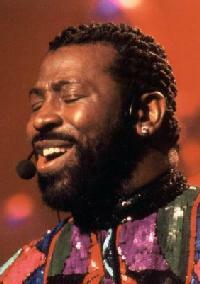 *Everybody knows that singer/actor Tyrese Gibson wants to bring the life of Teddy Pendergrass to the big screen. And naturally he wants to play Teddy. We might add that we can’t think of anyone more qualified for the job, either. But a project like this needs the right director. And as far as Gibson is concerned, there is no one better qualified than Lee Daniels. In case you’re wondering, it would be Gibson’s first time singing in a movie and yes, he got Pendergrass’ blessing on the film before he died. Hmmmm! does Tyrese really have the voice to do the part justice??? I love Tyrese but I think with the voice Jaheim has he would do a better job of portraying Teddy Pendergrass. Ummmmm….we’re talking about a movie. Where you have actors. 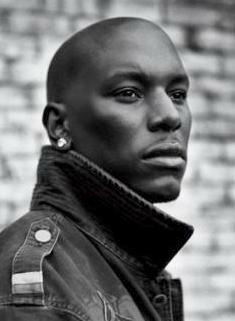 Tyrese is probably the actor best suited for the job, as was Jamie Foxx for Ray. Jaheim has the more accurate voice, but he’s not an AC-TOR. I concur – Tyrese can act the part of Teddy and, the voice and singing inflections do not have to be exact – that’s why you “ACT” – I think Ty would be good in this part. Perhaps Jesse L. Martin formerly of Law & Order he can act and based on his browadway background he can sing fairly well too. I cannot think of any others at the moment. @ “babycakes” I believe Jesse L Martin has obigations to do Marvin Gaye bio, I’m still waiting for that one to happen. A woman just released a Cd Single on Actor Tyrese Gibson about internet beef on Twitter. Tyrese without a doubt is the man for the job…not only can he sing and act, but Teddy gave him his blessing. So, obviously he felt he is most suitable. It will be interesting to see Tyrese with hair!! !…Cant wait to re-live the Teddy experience!! !